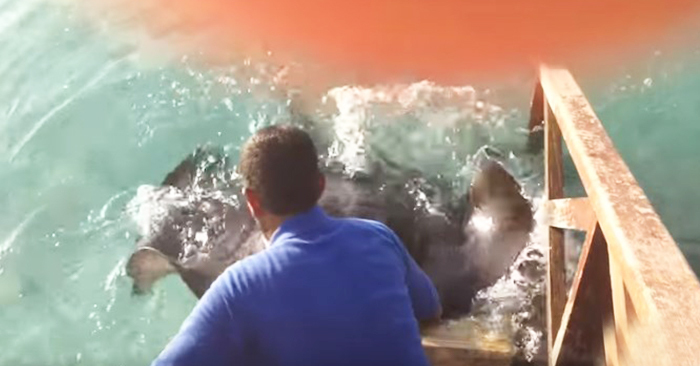 This group of tourists was not expecting to get a huge surprise when they were feeding fish off of a dock in the Maldives. 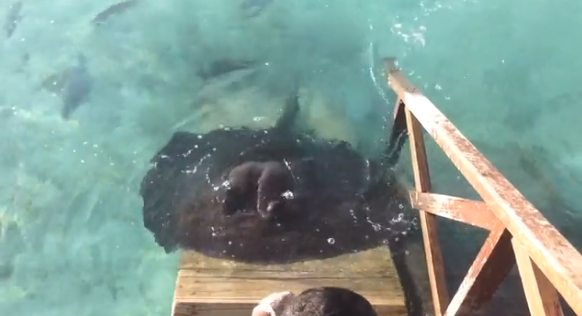 While feeding fish off of a dock, a hungry stingray saw the opportunity of getting a free meal from the visitors and jumped out of the water for an easy meal. The friendly stingray even stayed on after its meal to bet pet a few times! 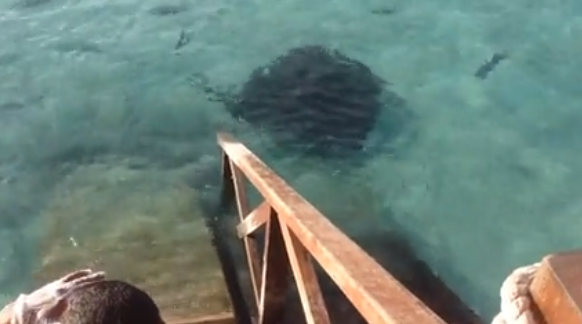 In the short video, the stingray can be seen rippling its wings and straining up the wooden dock to catch the meal.